The Foundation for Accountability and Civic Trust (FACT) named Schultz as its second-worst violator of 2017 for her continued employment of Imran Awan, a House IT aide, after he was accused of stealing computers and data systems in February. Schultz finally fired Awan on July 25 when he was arrested at Dulles International Airport on bank fraud charges while trying to flee to Pakistan. Awan was indicted in August. FACT called for an ethics investigation into Schultz in July. Wasserman Schultz refused to remove Awan from House payroll and compensated Awan with taxpayer funds for several months—even though he was barred from the House computer system which would prevent him from performing any reasonable IT work. 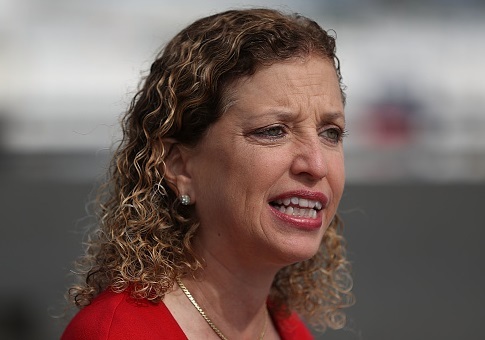 In fact, Wasserman Schultz only fired Awan after he was arrested on bank fraud charges attempting to flee the country the morning of July 25, 2017. Wasserman Schultz is in clear violation of House Ethics Rules as Members are directly responsible for ensuring their staff are only paid for official public work. In August, Schultz defended her continued payment of Awan, saying she fired him when he was arrested. The lawmaker had expressed concern that Awan, a Pakistani-born Muslim, was being targeted because of his religion and ethnicity. Schultz is the former chair of the Democratic National Committee. She stepped down under pressure in 2016 after hacked emails revealed she and other party leaders showed favoritism for Hillary Clinton over Sen. Bernie Sanders (I., Vt.) in the Democratic primary fight. The top ethics offenders of 2017, according to FACT, were the unknown members of Congress who have settled sexual harassment cases with taxpayer funds. Others on the list included Rep. John Lewis (D., Ga.) for employing his chief of staff as his campaign treasurer simultaneously and Rep. Alcee Hastings (D., Fla.) for what FACT called "overcompensating" his girlfriend with taxpayer funds. This entry was posted in Politics and tagged Alcee Hastings, Debbie Wasserman Schultz, Ethics. Bookmark the permalink.